Matching L*Space Swimwear: Turquoise Wild One Reversible Top. 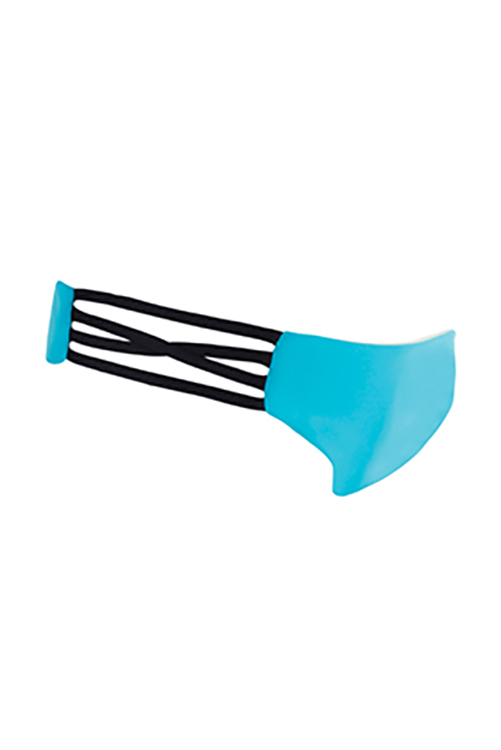 Turquoise Low Down Reversible Bottom has a low-rise hipster style with color block strappy sides. Four bands of contrasting colors run over hips, two straight on top and bottom with center two criss-crossed. Reverses to solid Mint for two looks in one.